Many people consume it as a crispy snack watching a movie. Not a few are more fond of the "traditional" version, burned on charcoal with a spread of butter or sold warmly with boiled peanuts on the roadside. Yes, corn is one of the staple foods of Indonesians. But unfortunately, corn is often considered not to have good nutrition for the body, besides being filling. In fact, there are many surprising things about the benefits of corn for health. What are the benefits of corn for health? Here are four benefits of corn that you might never know before. The main nutrient composition of corn is carbohydrate, which almost meets 6-7% of daily needs. But unlike refined carbohydrates in bread or white rice which quickly deplete energy, carbohydrates in corn provide a stable and long-lasting energy supply. This is because corn carbohydrates are complex carbohydrates. In addition, corn also contains fiber and protein. The combination of these three nutrients is digested slowly by the body, and is also beneficial for controlling blood sugar levels because fiber slows down the body's speed of breaking down carbohydrates (glucose) to be released into the bloodstream. And although sugar in corn is high (2 grams per 100 grams), corn is not a high glycemic index food, so even if you eat whole corn it won't cause your blood sugar to surge dramatically. Consumption of reasonable amounts of corn has been shown to be associated with better blood sugar control in people with diabetes. This savory sweet yellow is enriched with vitamin C (8% of daily needs), magnesium, and vitamin B. Vitamin C is important in supporting cell repair, enhancing immunity, and has anti-aging properties, while vitamin B plays an important role in energy processing . Magnesium is important in nervous system performance and muscle contraction. Not only that. Although it may sound surprising, corn is a food source that is rich in antioxidants compared to many other cereal grains - such as lutein, zeaxanthin, ferulic acid, and beta-carotene. Carotenoids (lutein, beta-carotene, and zeaxanthin) are known to be able to support the body's immune system and have been shown to play an important role in eye health. The high levels of these two carotenoids in the blood are strongly associated with a reduced risk of macular and cataract degeneration. This food also provides phenolic phytochemical compounds that are beneficial for heart health and controlling high blood pressure. Most studies that focus on the effect of antioxidant intake on disease and risk reduction have not specifically examined the benefits of corn and its antioxidant content. 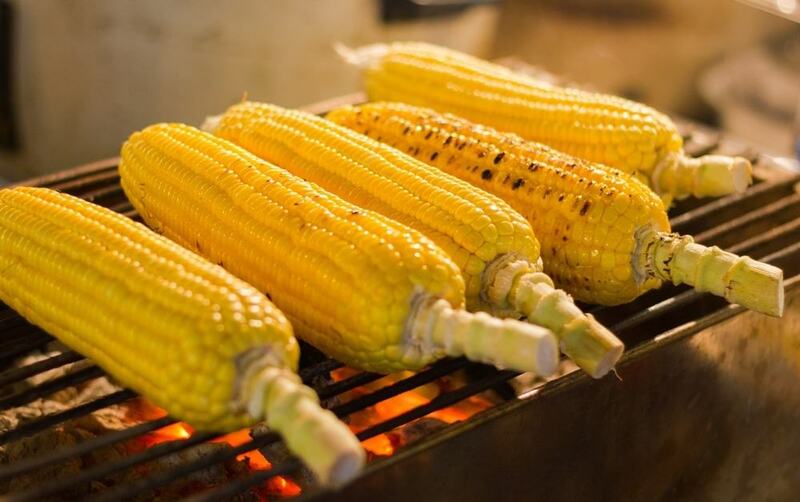 However, in some small-scale studies, corn is said to be an important food in overall protection and a factor in reducing the risk of heart disease. Some mechanisms for reducing the risk of heart disease may be related to other properties of corn phytonutrients that go beyond their antioxidant properties. For those of you big fans of corn, you certainly understand the sensation of a full stomach that is super satisfying even though it only takes a lump. The benefits of corn are filling thanks to the fiber content, which can reach 2-4 grams per 100 grams of corn - aka equivalent to 9% of your daily fiber needs. Fiber is one of the key nutrients to maintain the digestive system. Recent research shows that corn can support the growth of friendly bacteria in the large intestine and can also be changed by these bacteria to become short chain fatty acids, or SCFA. SCFA can provide energy for intestinal cells and thus help reduce your risk of many digestive disorders, including the risk of colon cancer. The benefits of corn for the digestive system may also come from the nature of gluten-free corn. Gluten consumption is associated with a variety of negative symptoms, including flatulence, cramps, diarrhea, constipation, to fatigue and skin problems. Even this effect is not only limited to those who have celiac disease or gluten allergy. This makes corn or corn flour a good alternative to wheat or other gluten-containing foods. Interestingly, the benefits of corn on the maintenance of the digestive system are shown to be greater in the consumption of popcorn. Men who eat popcorn have the most 28% chance of developing indigestion compared to men who rarely or not consume popcorn at all. Benefits of Eating Spinach The effective way to lose weight! One interesting new field of research on the benefits of maize is its potential potential as an HIV prevention food. This is because corn contains one type of lectin, GNAmaize. Lectins are special proteins found in almost all foods that can bind to glucose or to carbohydrate receptors found on cell membranes. Binding of lectin to glucose has been proven to help inhibit viral activity, including the HIV virus. Of course, more research is still needed to really determine the relationship between the overall benefits of corn and protection against the risk of HIV infection.